First it is for well-being, but also can be a great social or family gathering place. Relax muscles and tension and take time to unwind in your very own hot tub. Spas are really great for stress relief, relaxation but also can relieve arthritis, bursitis, fibromyalgia and other health conditions. For more intensive hydrotherapy requirements, Hot Tub Outpost offers the wave seat with jets that go row by row to create a dynamic, moving and healing massage. This fingertip massage goes up and down your back and can also be stopped at the ideal spot. A spa is a luxury item. Most people buy spas because they can afford them, but now alot of younger people are purchasing spas because entry level hot tubs are available under $3,000 with quality spas in the $4,000-$5,000 range. Find the best value in a hot tub at www.HotTubOutpost.com. Buying your own hot tub means you can relax in your own backyard paradise. This is one of the few pleasures in life that most people have dreamed of and that is now affordable with the introduction of 120 volt plug and play spas. Among the hot tub brands featured on Hot Tub Outpost, QCA Spas is one of the oldest manufacturers of quality spas and hot tubs that goes back to 1966. Choose from a variety of indoor and outdoor hot tub models according to your hydrotherapy preferences and budget. Whether you prefer a 2 person spa for private use in your home or backyard, or a larger spa model that can accommodate your entire family and friends, the right size hot tub is available for you. Other than social status, socializing with friends and catching up with your partner, family and friends, the actual health and hydrotherapy benefits do the body and soul good. Massage jets are placed to provide pain and stress relief where you need it most. Hydrotherapy can also heal arthritic ailments and loosen your nerve muscles from everyday stress from work for the busy professional. The skin benefits of bathing in a hot tub includes the opening up of your skin’s pores and removal of unwanted oils to give your skin a more vibrant complexion. 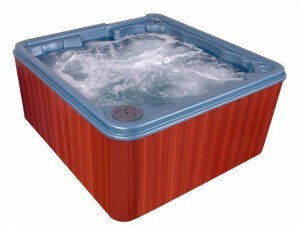 The top quality hot tubs available at Hot Tub Outpost are both beneficial and economical. You no longer have to go to a specialty store with only a few models available and pay a high price when you can get a factory direct spa at www.HotTubOutpost.com. No tax (until legislation changes one day on this controversial issue), so save while you can. Hot Tub Outpost also offers free shipping and handling on all spas. Their discount hot tubs also have a comprehensive factory original warranty.